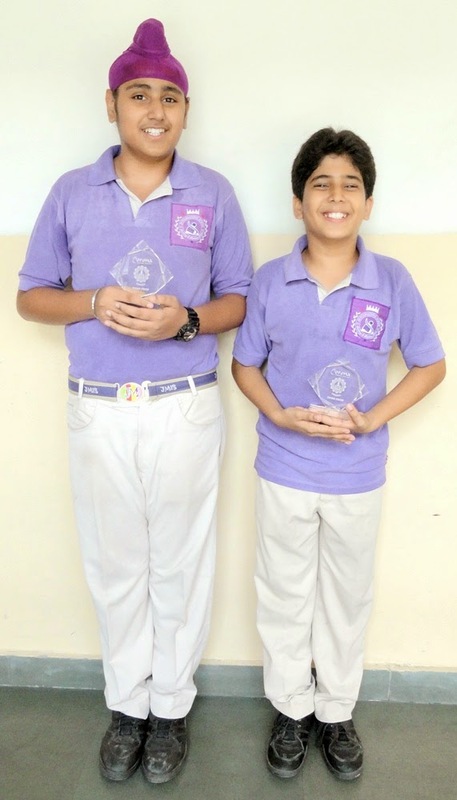 Computer animation is the rising star of movies, computer games and increase the interest of the viewer.We are proud to announce that our computer experts Abhinav Bajaj and Abhit scored third position in Interschool Competition organized by Mount Carmel . They used Flash to create movie and Photoshop to draw characters. Topic was Animated Fable. Our students created the story of Man, Axe and Fairy(The Golden Axe). Total time for creating animation movie is 2 hours including presentation to the judges. Students are judged on the basis of creativity, skills , relevance to the topic and animation.